With over 50,000 books, papers, maps and audio-visual items, and an extensive range of periodicals, it is one of Europes largest collections of biblical, theological and missiological material with particular emphasis on intercultural and mission studies. In addition, the details of over 45,000 journal articles are indexed on the library's catalogue - and searchable by subject or keyword. 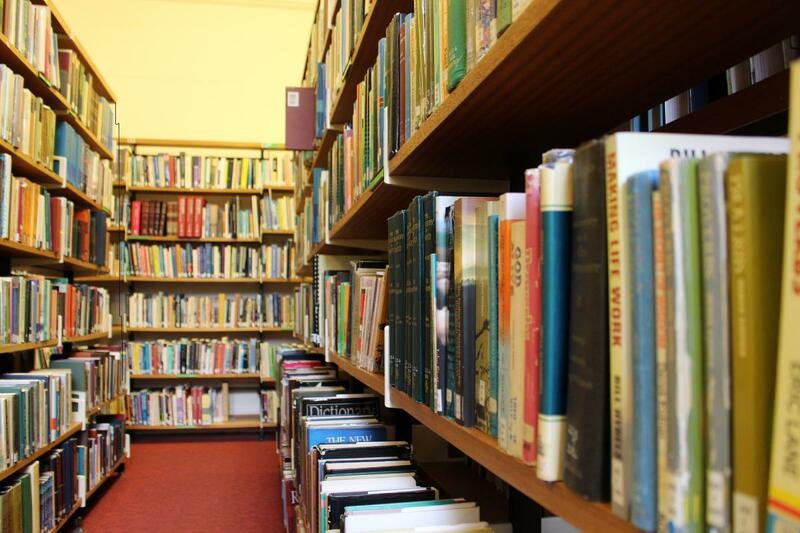 The library is a member of the Association of British Theological and Philosophical Libraries (ABTAPL) - a partnership of over 100 libraries who share expertise and resources in a number of areas. An inter-library loans service is available, enabling students to borrow books, theses and periodical articles from ABTAPL libraries, the British Library Document Supply Centre (BLDSC) and various other libraries. The library is also a member of the Network of Librarians from Open University Validation Services (OUVS) partner institutions. All Nations library provides access to online journals for student's by subscribing to EBSCO's Philosophy and Religion Collection, a database providing access to over 300 full-text journals. Access to this is for current students only. The college library's mission is to provide a supportive environment for learning and study in which all library users can find high quality information resources and services to facilitate your current or continuing education, their personal and professional development and your role within the All Nations community. All Nations' students can use the library 24 hours a day in term-time, and during office hours (Monday-Friday) in the vacations. Those in theological education, or engaged in Christian ministry and mission work, may register as External Users and access the facilities during office hours (Monday to Friday). An annual subscription is payable for this service. For more information on joining the library please see below, or contact the Librarian, Frances Walker using the link below, to make an appointment. Please report to the Library Office each time you use the Library. If you wish to borrow items, please check with the Library staff first, in case they are in current demand by other users. Up to six items may be borrowed at any one time for three weeks. Loans may be renewed up to three times at the discretion of the Librarian. Renewals can be made in person or by telephone, email, or in writing. Please quote your name and Reader's Card Number. Overdue items may be subject to a charge, and any lost items must be paid for at the full replacement cost. Short Loan and One Week Loan Items are not available for loan by to external users. Periodicals are strictly for reference only. However, articles may be photocopied in accordance with copyright regulations. There is a charge of 5p per sheet.. All journals should be returned to their original location on the shelves after use. Audio Visual and multi-media resources are not normally available for loan during term time. During vacations, certain items may be borrowed at the Librarian’s discretion. Recordings of All Nations lectures can not be borrowed by external users for copyright reasons. A Reader's Card is required to borrow items - this is supplied on registration. Please use the self-service terminal near the Library entrance to issue your items onto your card. On no account are items to be removed from the library without being checked out. Returned items should be checked in using the self-service terminal, and put on the shelf below the computer. Any books or journals used for reference should be returned to their original location on the shelf before leaving the library. External Users are required to pay an annual subscription to use the Library. In the event of this being unpaid, the Reader’s Card will become invalid. See separate sheet for details of charges. Please do not hesitate to ask the Library staff for assistance if you need any help when using the library. All Nations library is open to new members, to become a member please make an appointment with the librarian to visit the library either by phone or email which can be found at the bottom of this page. Below you can find information about the library for new members. An application form should be completed online using the link below. All Nations may be able to provide accommodation to you to extend you your use of the library for a short period. Please see the Librarian for more details if interested in our private study facilities. We regret that we do not generally have refreshment facilities available for external library users. There are a selection of shops and eating facilities in the village of Stanstead Abbotts (approx 3/4 mile from college). However if you are coming for a whole day (or do not have transport) and do require lunch we can make arrangements for you to eat at College for a charge of £6.60. Please contact the Librarian, giving at least 48 hours notice so that we can notify our catering staff.